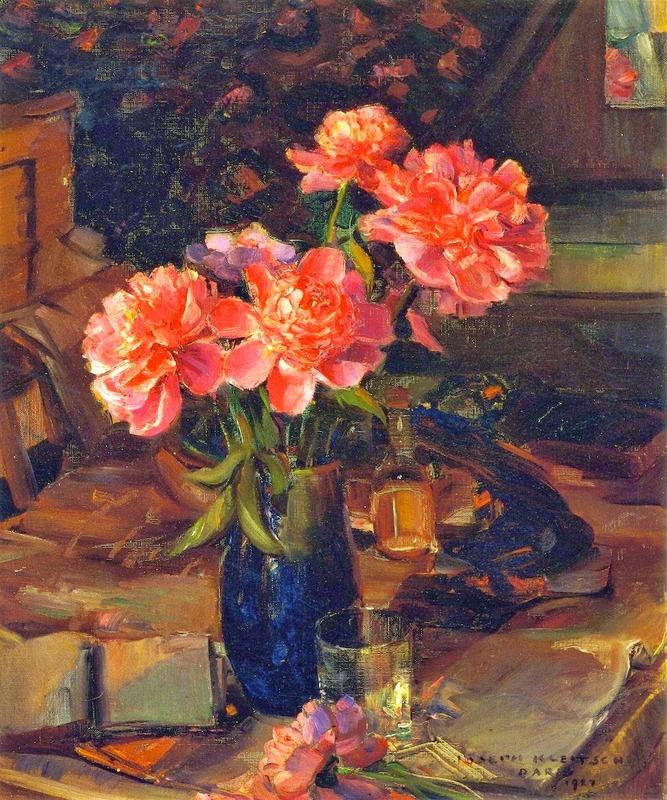 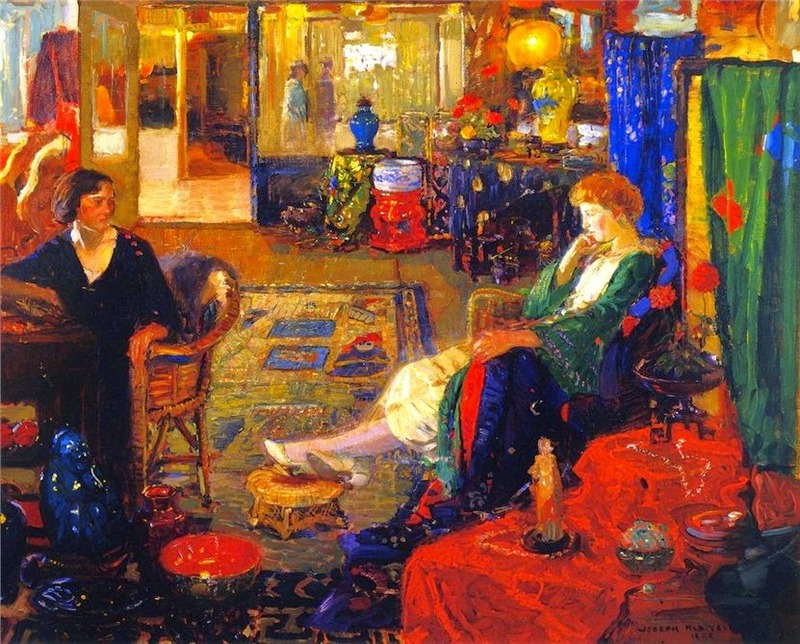 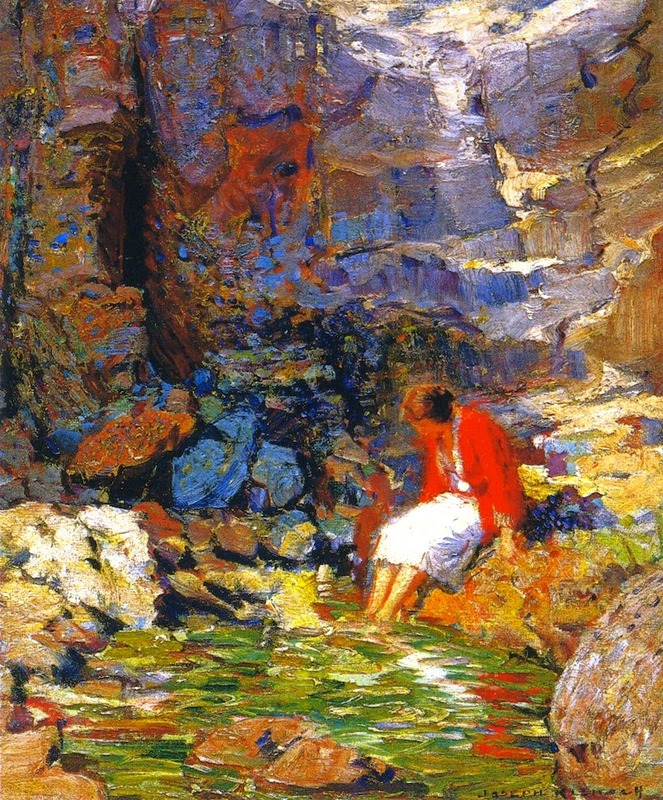 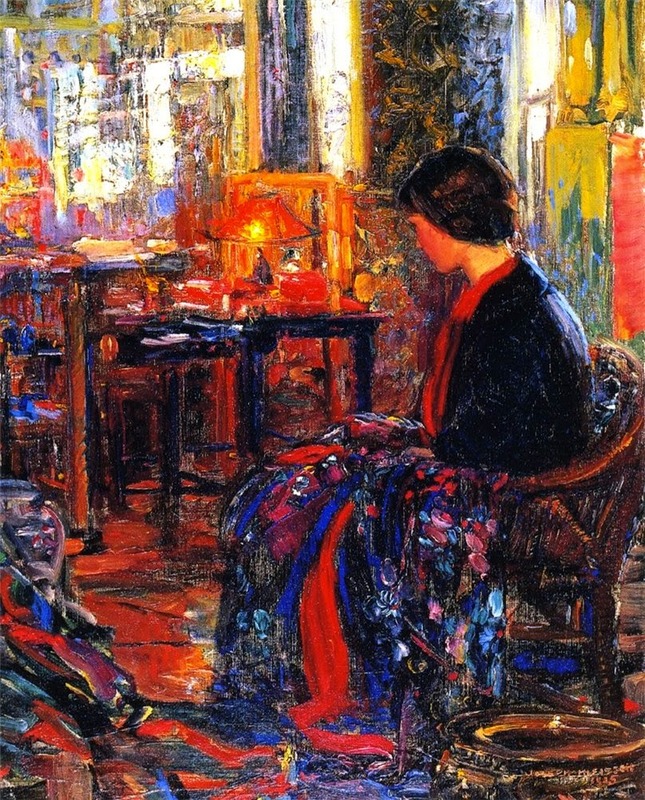 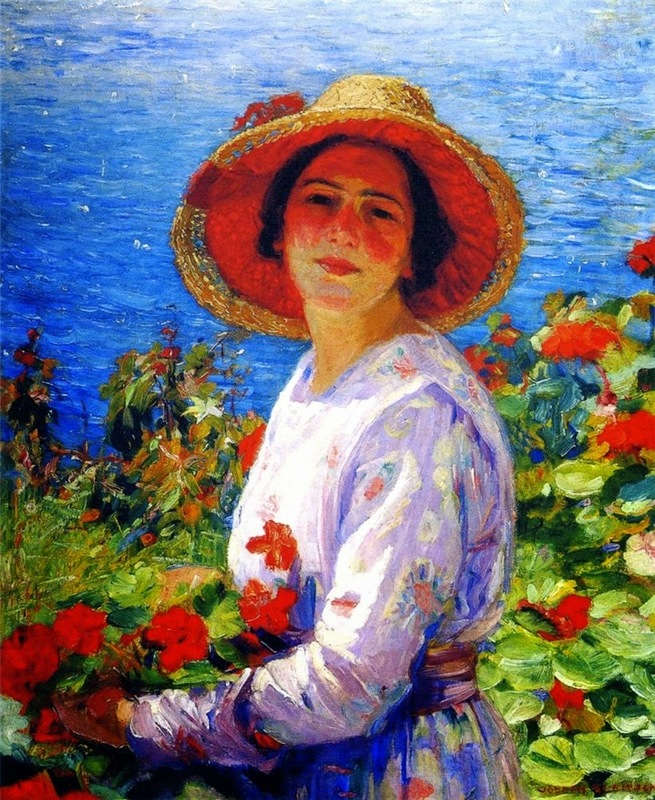 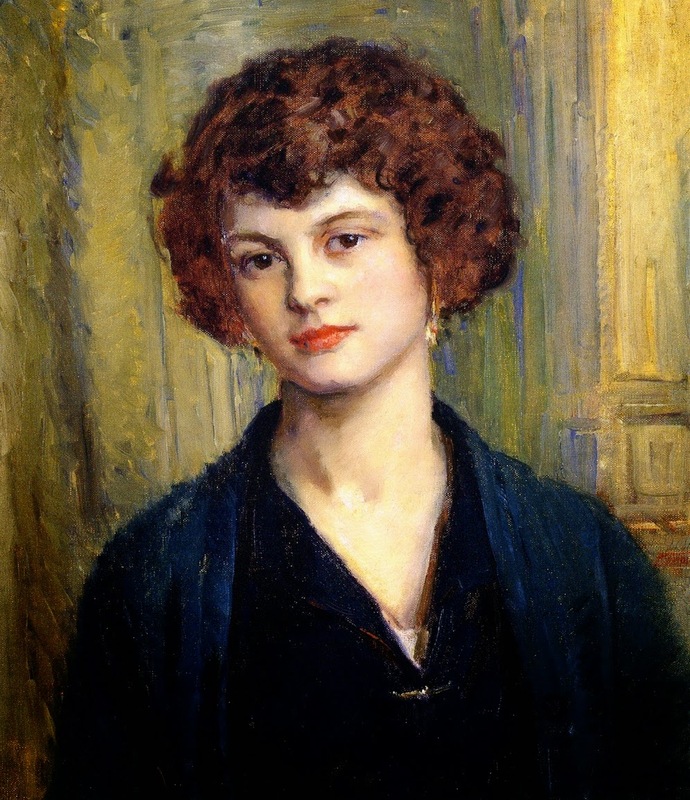 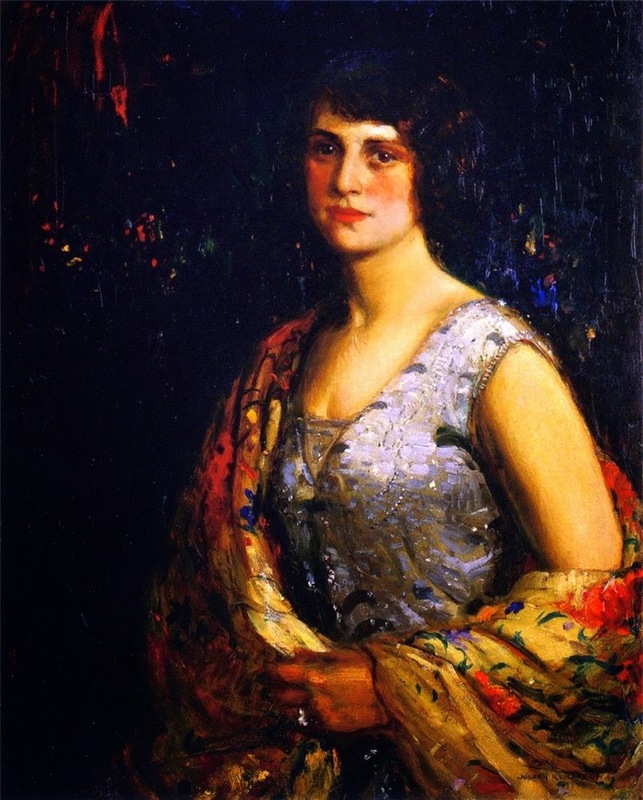 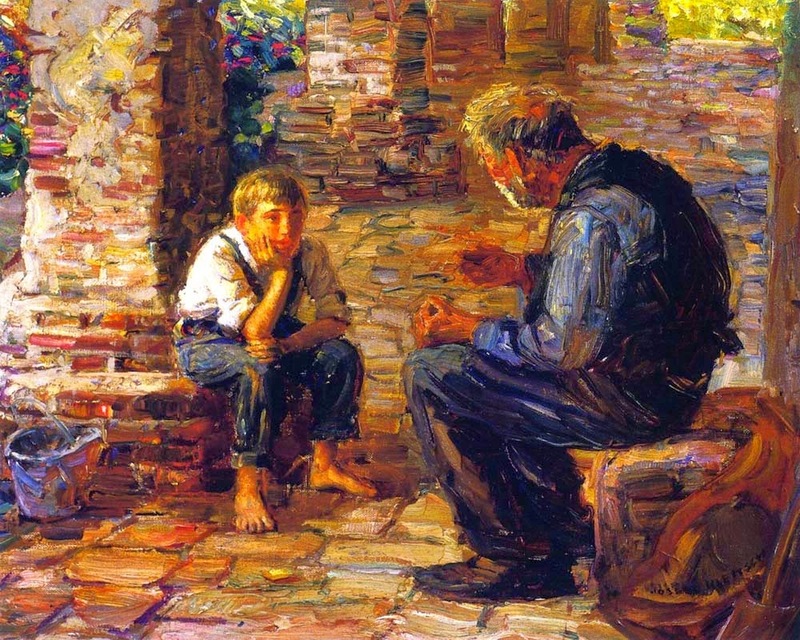 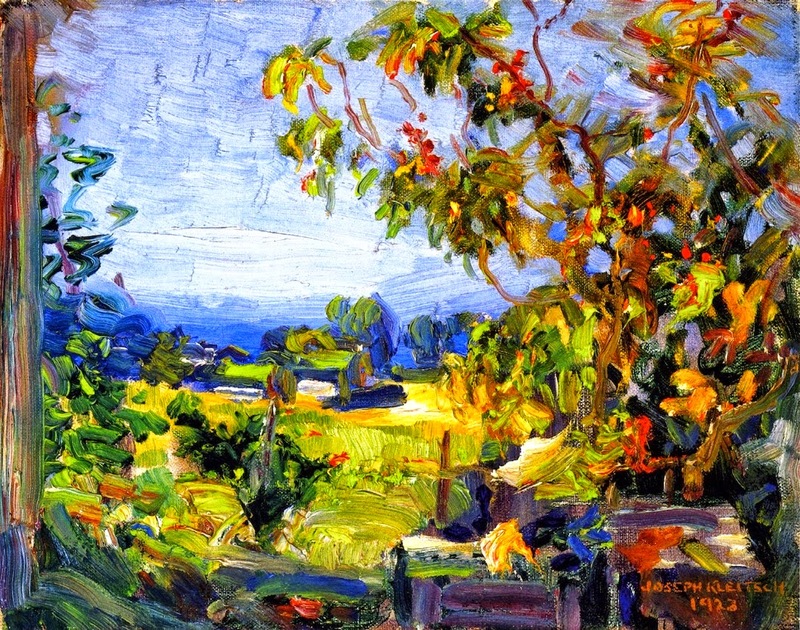 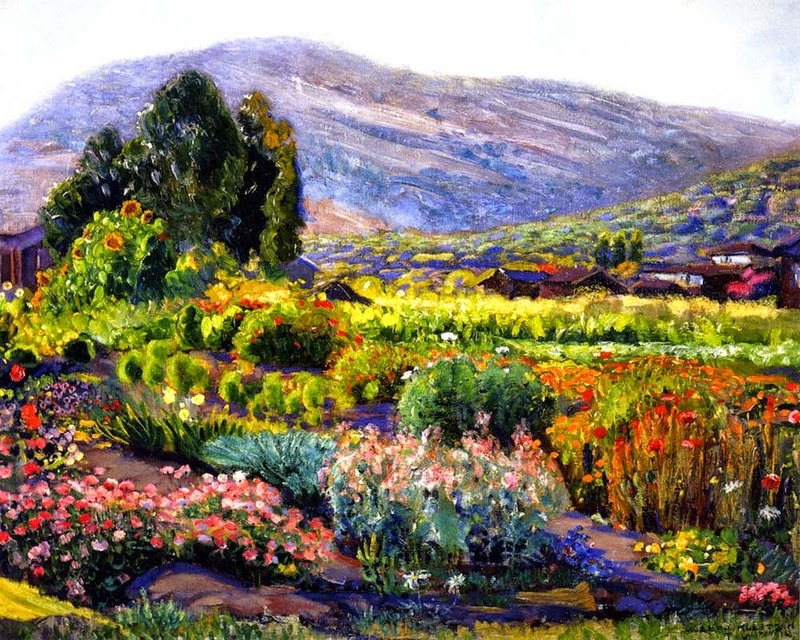 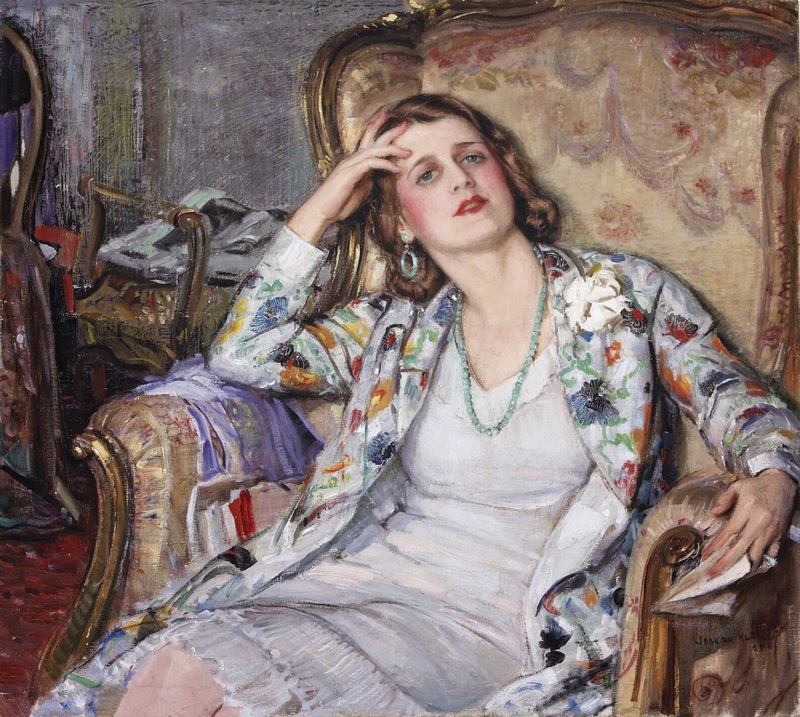 Joseph Kleitsch (1882-1931) was a Hungarian-American portrait and Plein Air painter who holds a high place in the early California School of Impressionism. 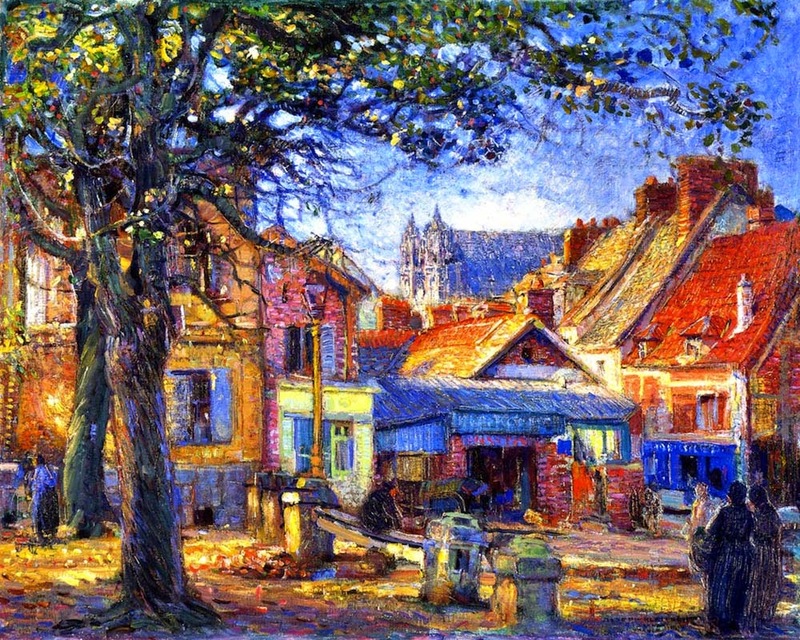 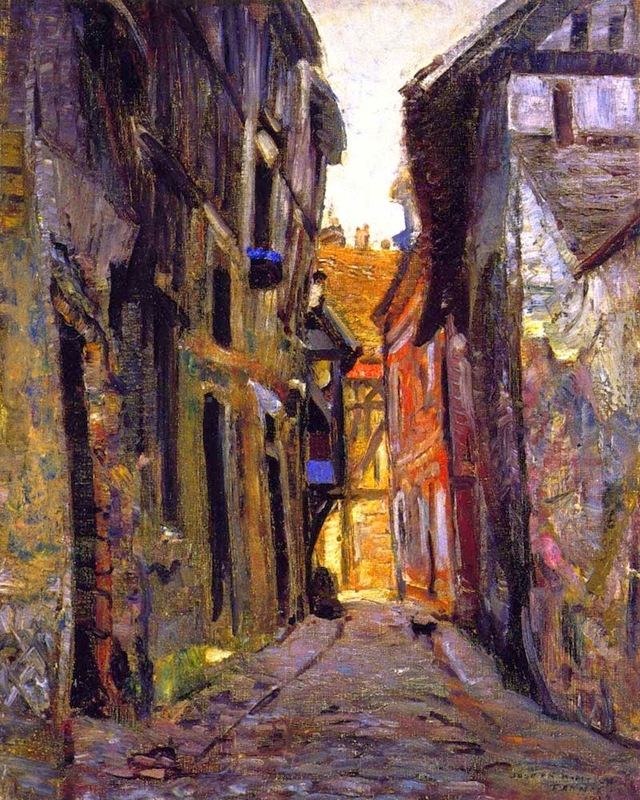 Born in Banad, Hungary on June 6, 1882, Kleitsch began painting at the age of seven. 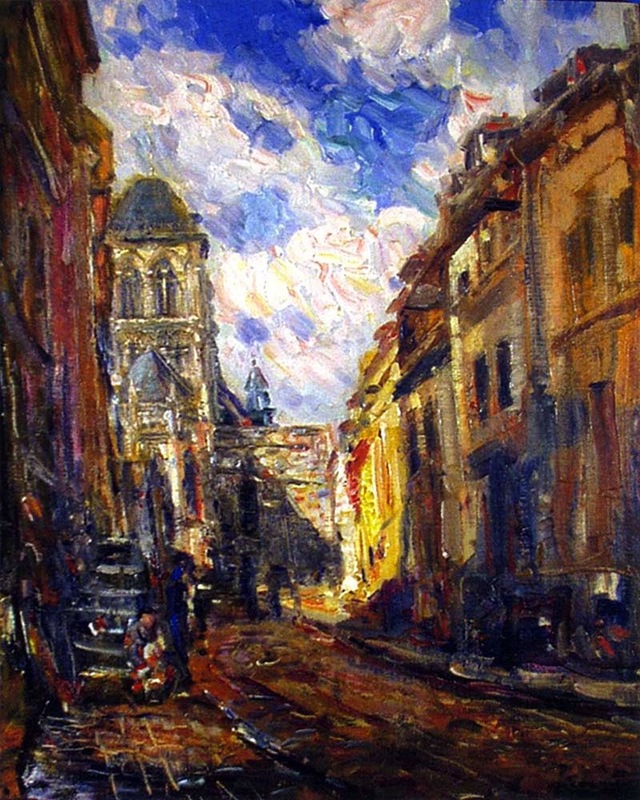 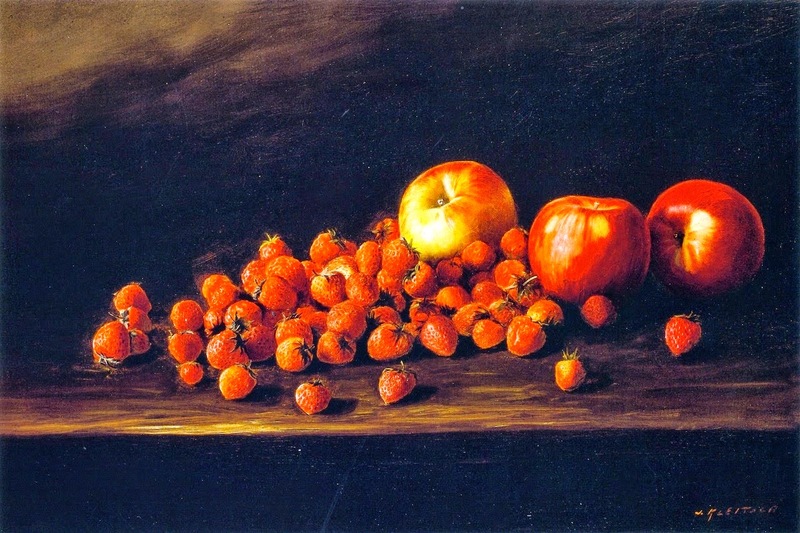 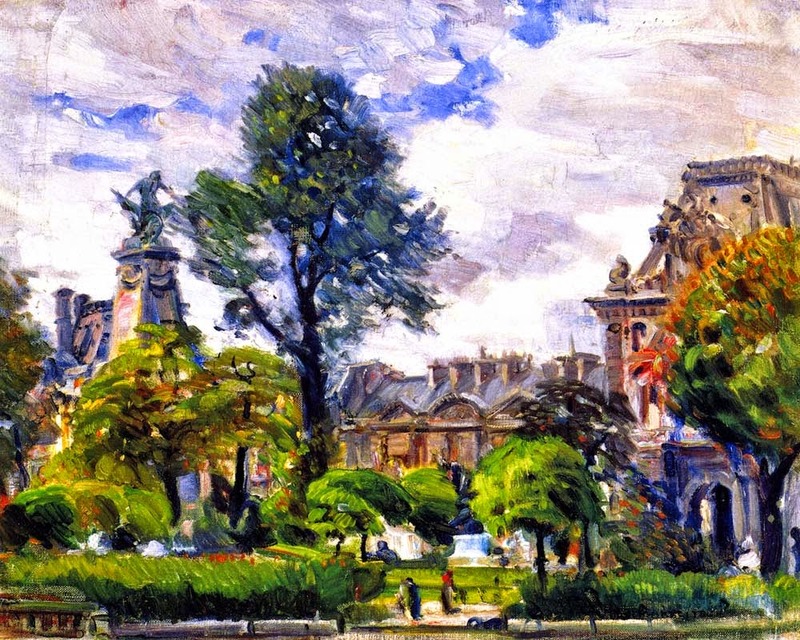 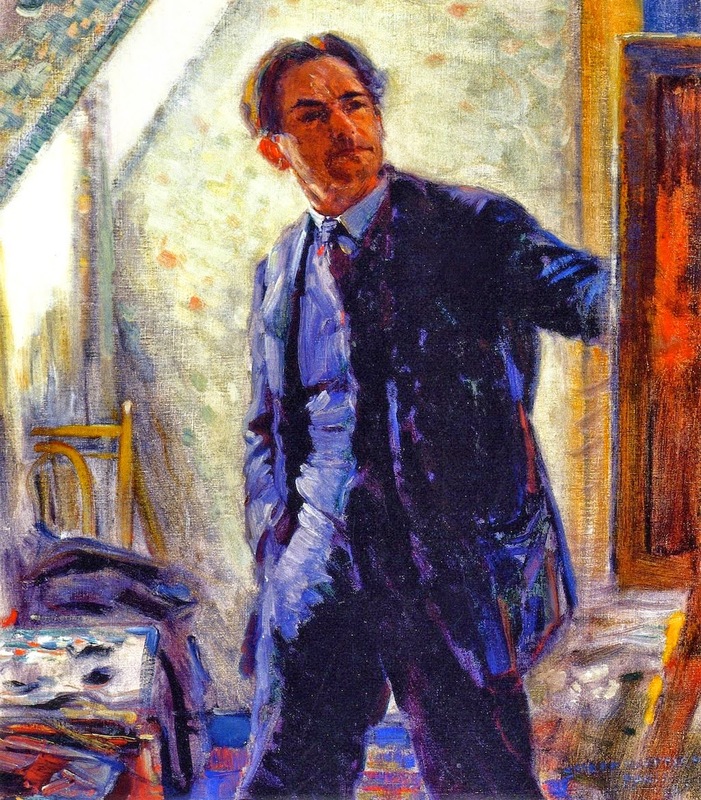 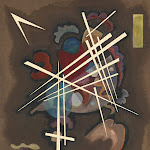 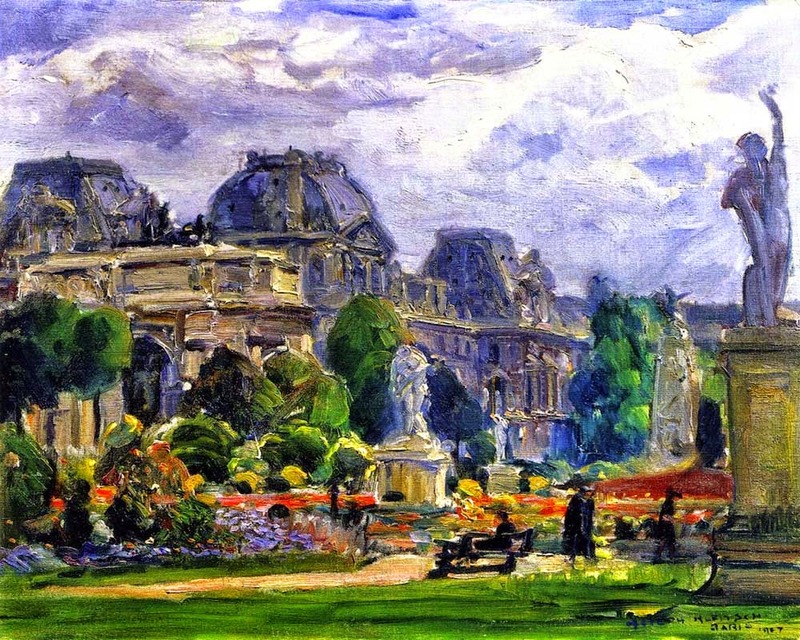 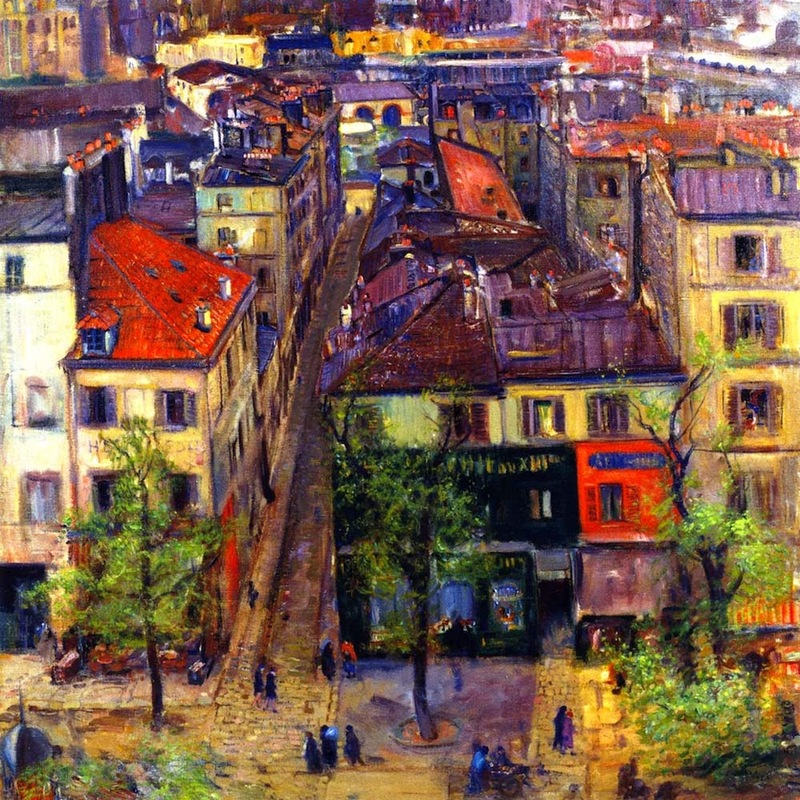 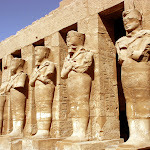 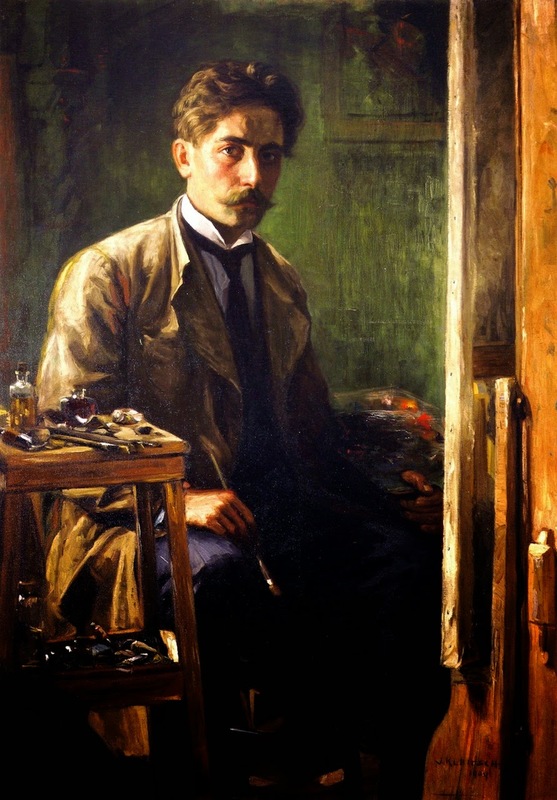 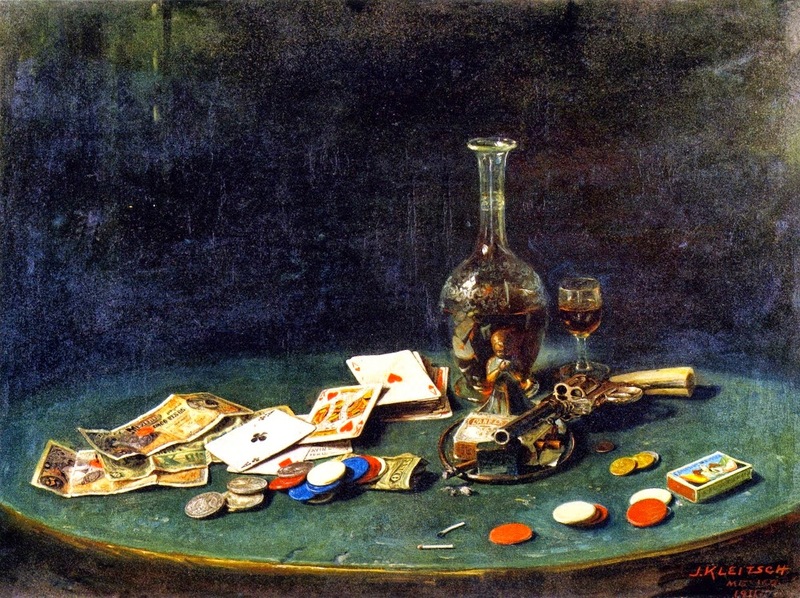 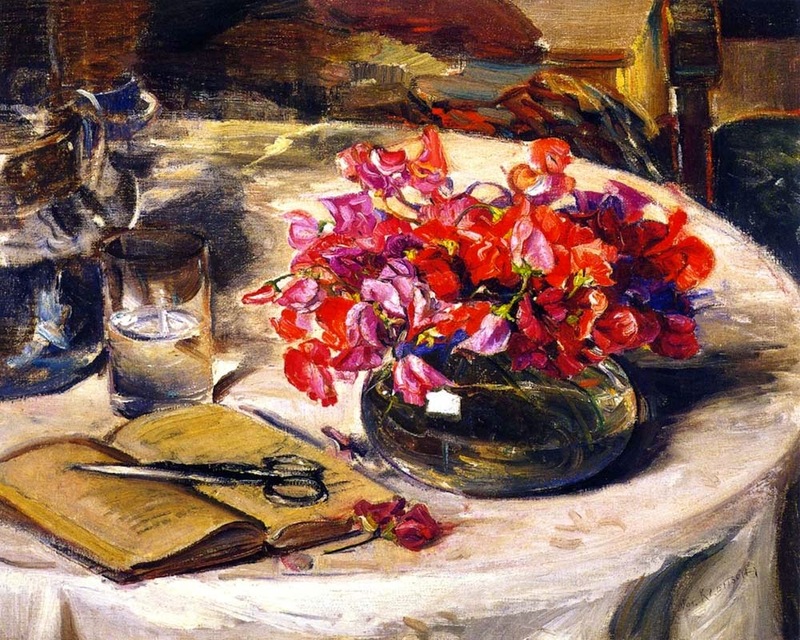 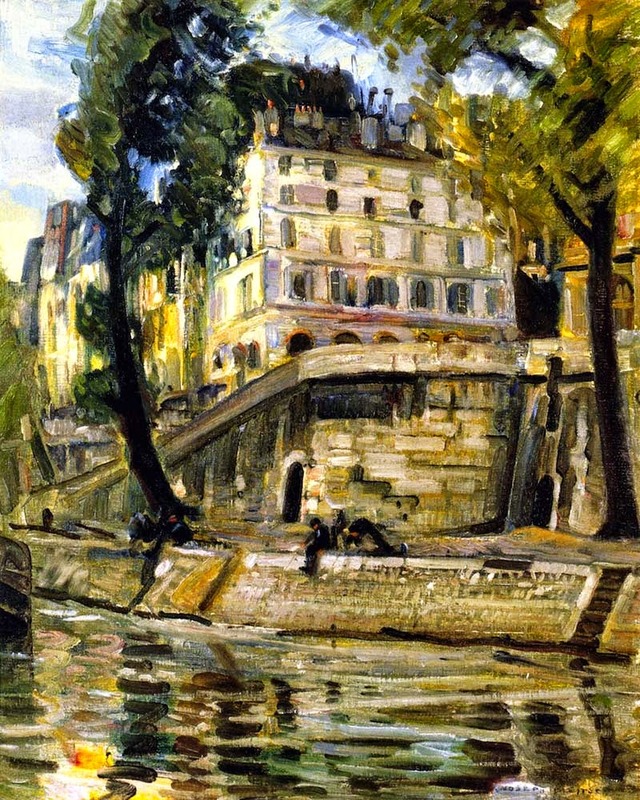 He later pursued art training in Budapest, Munich and Paris. 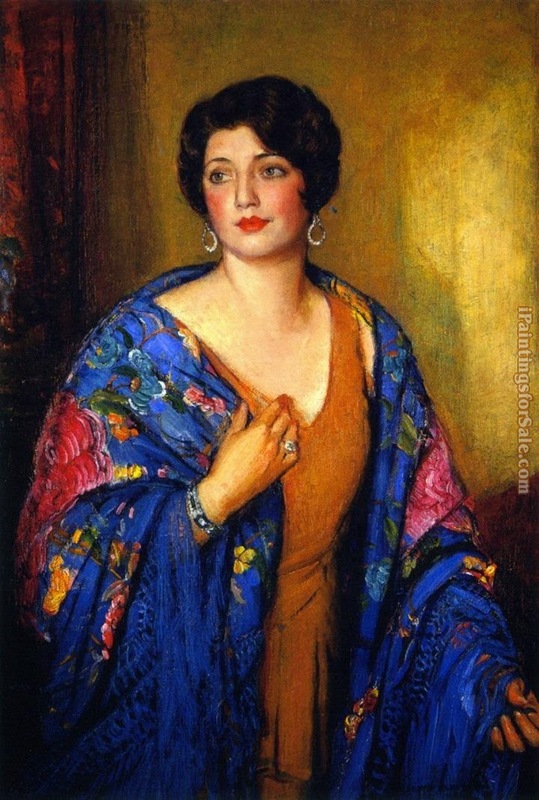 He immigrated to the United States in 1912 and two years later, on July 22, 1914, he married Edna Gregatis of Chicago, Illinois with whom he would have his only child, Eugene. 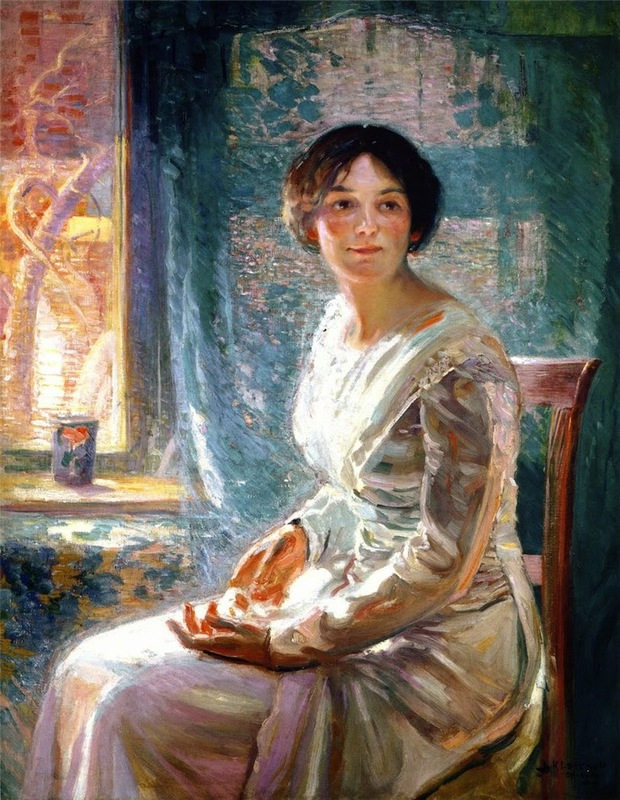 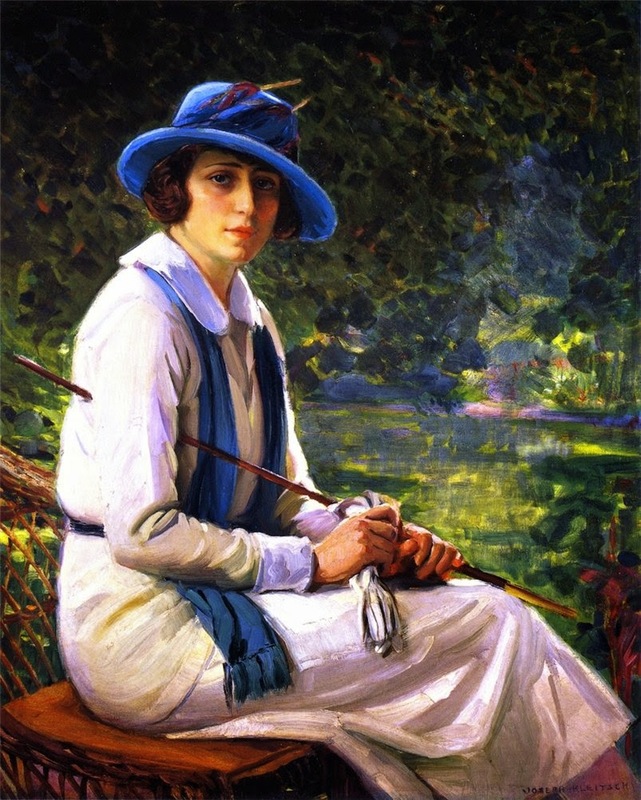 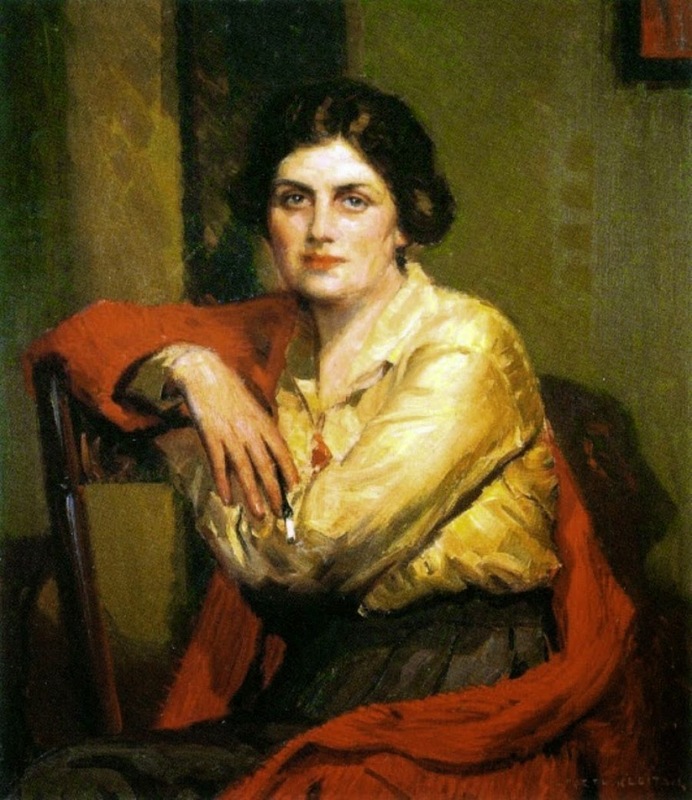 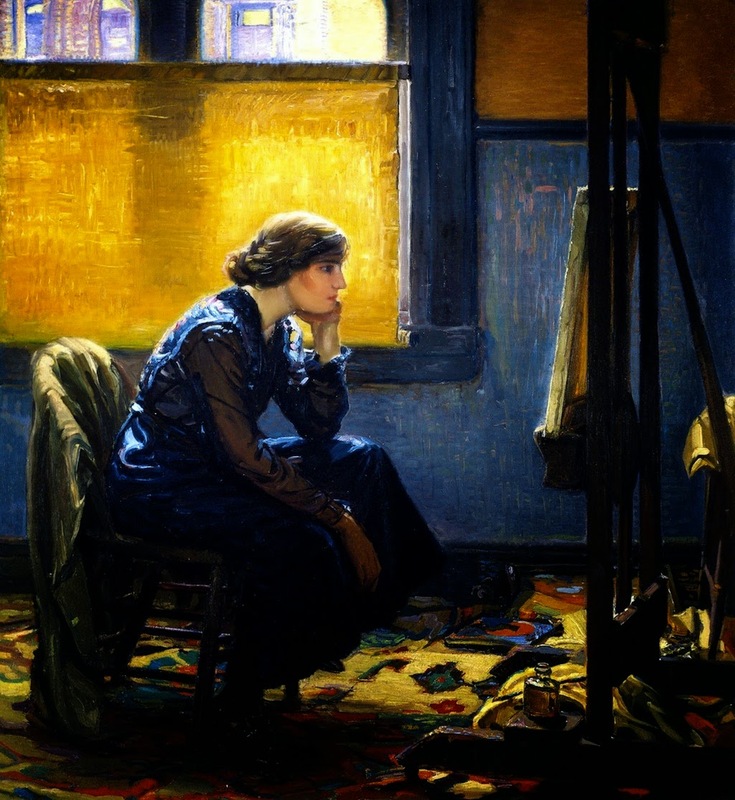 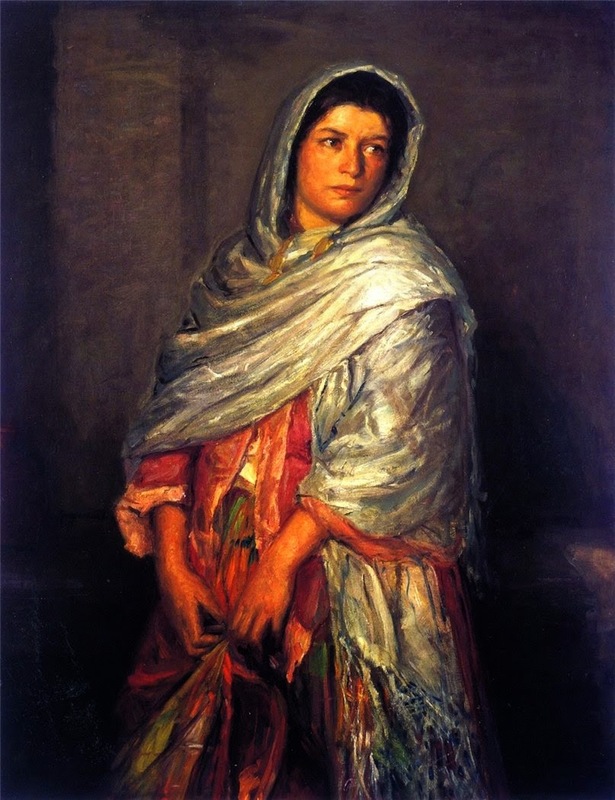 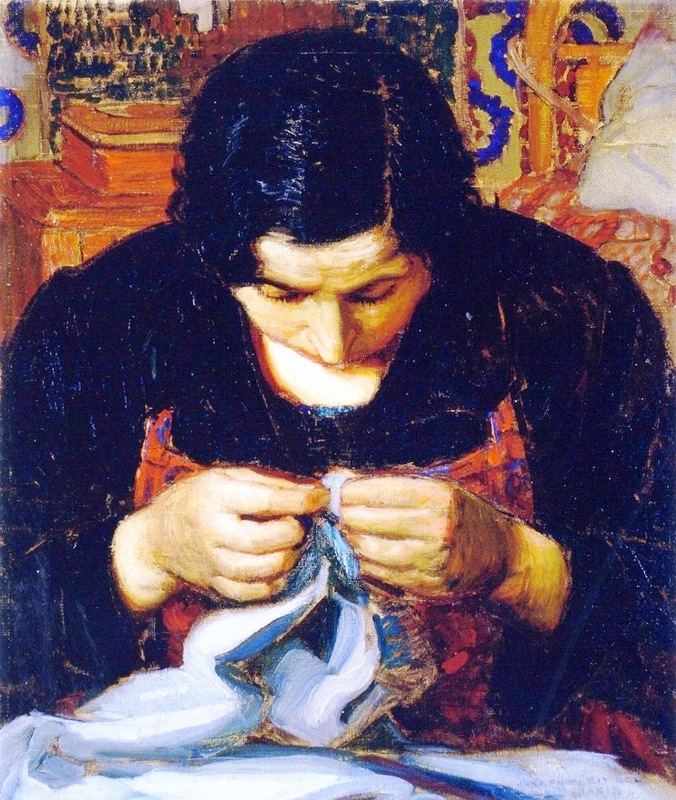 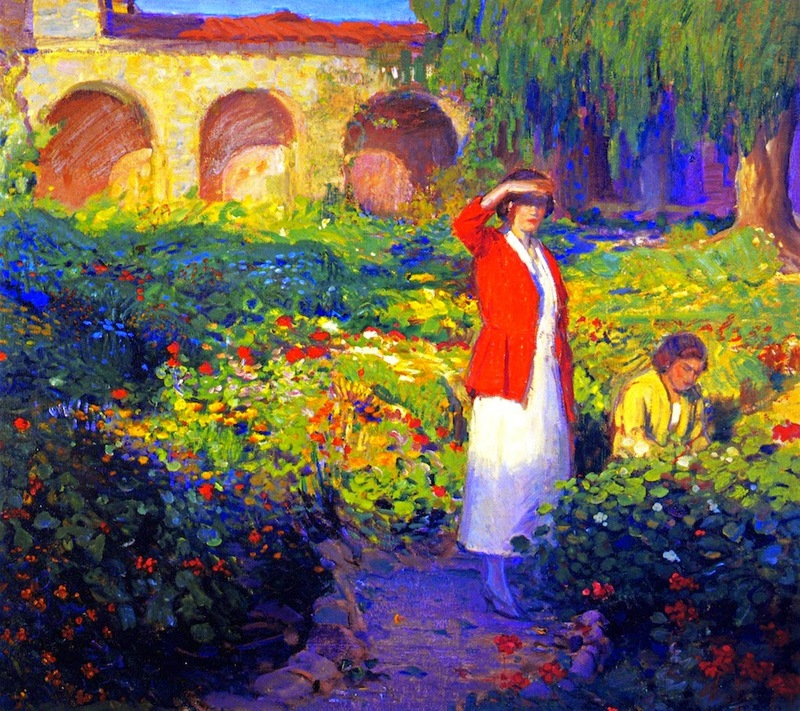 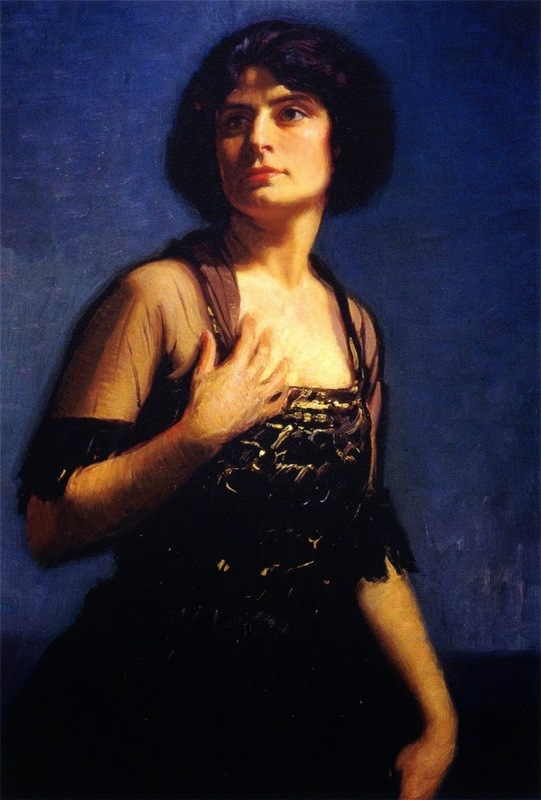 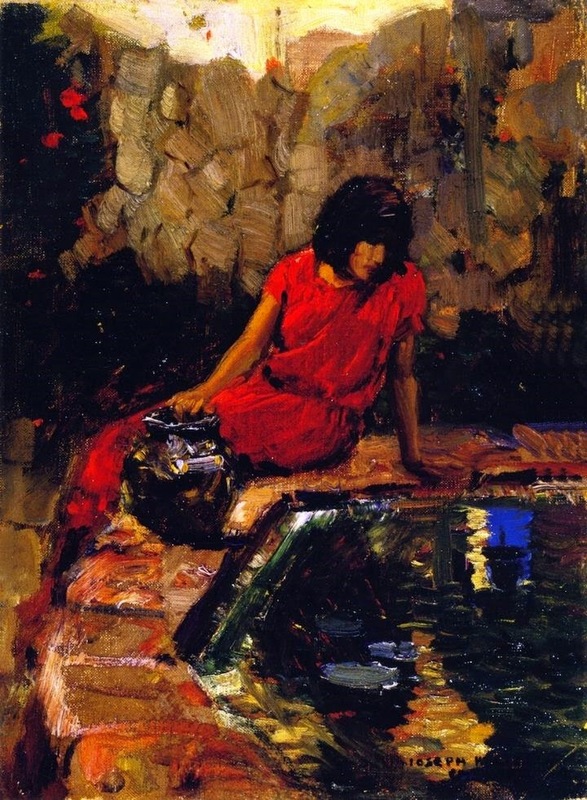 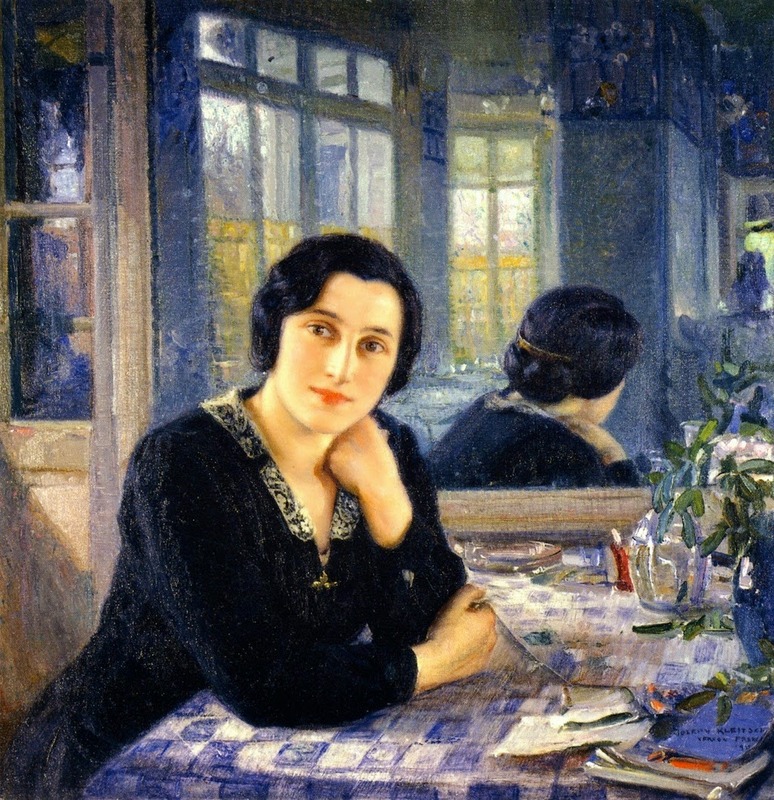 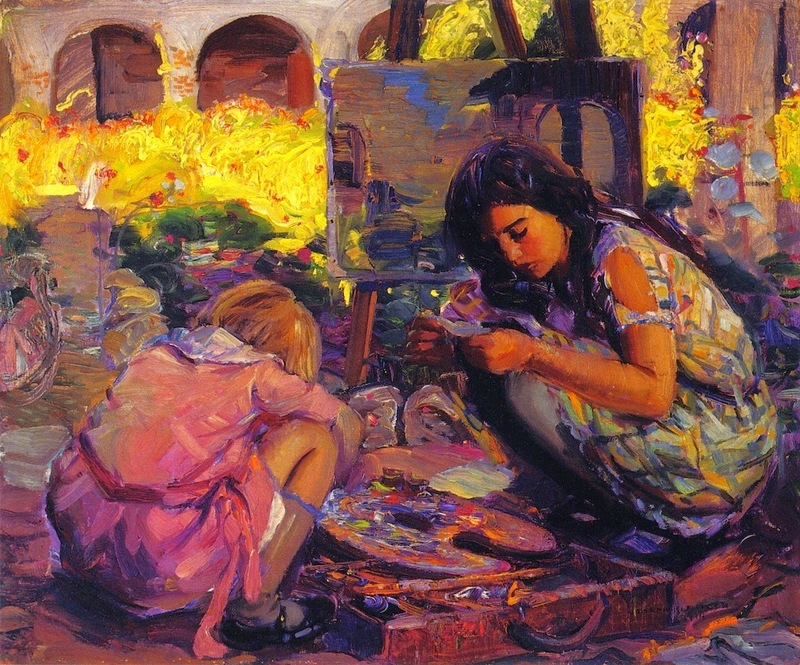 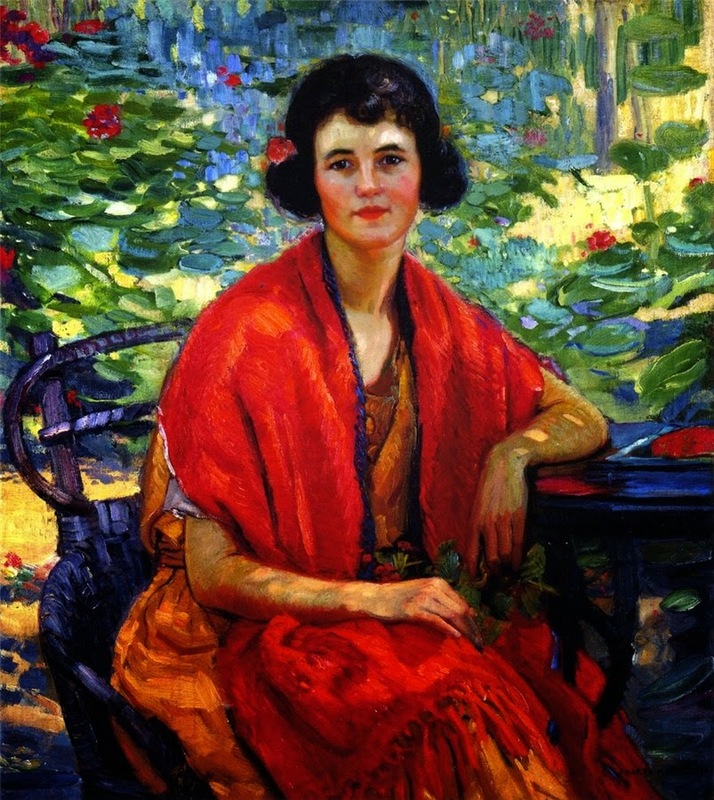 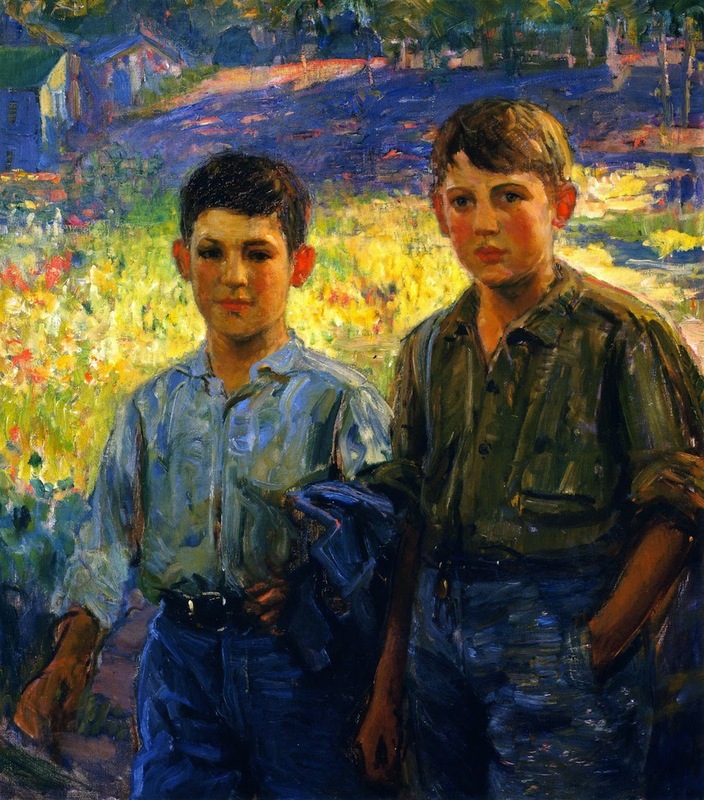 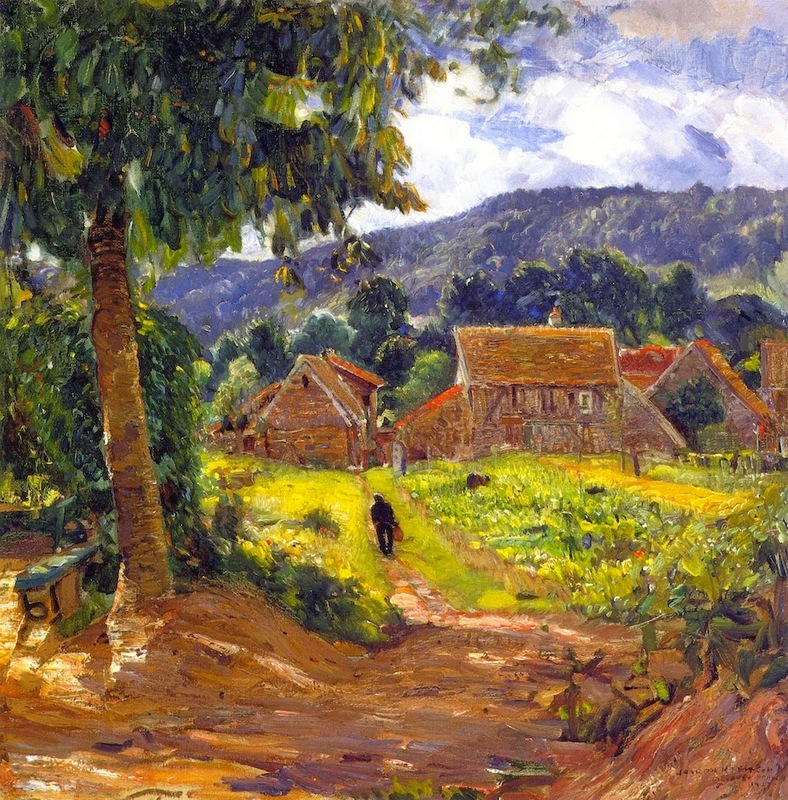 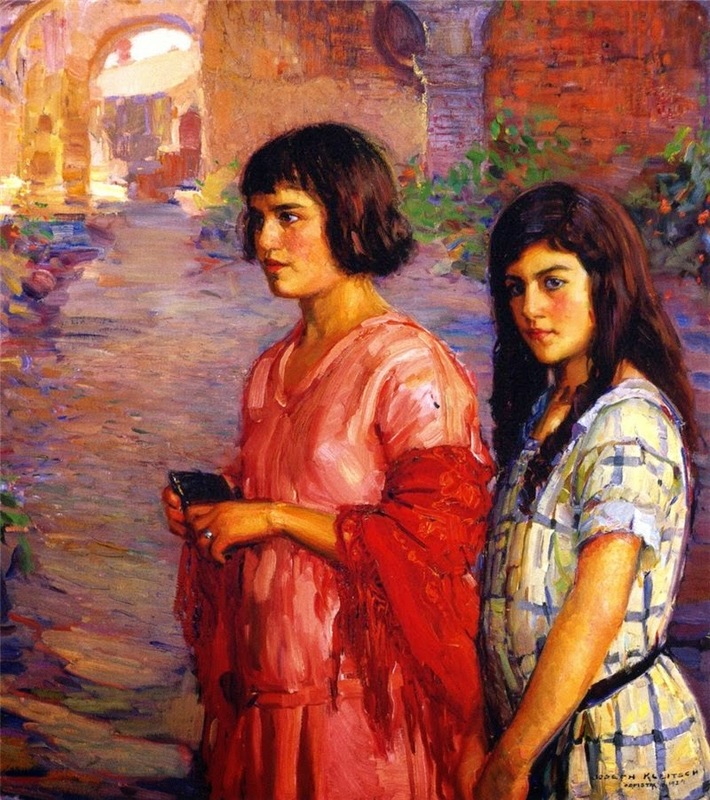 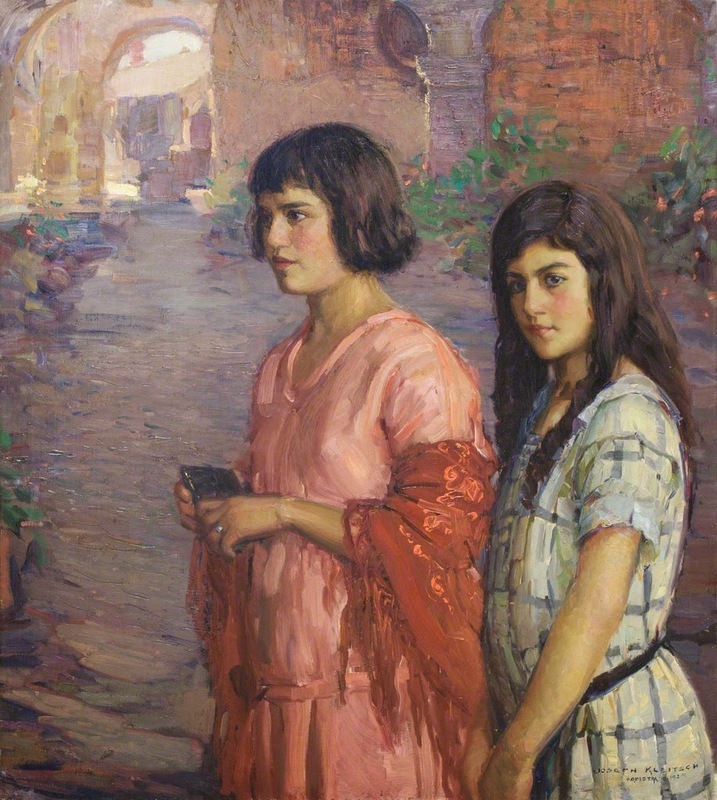 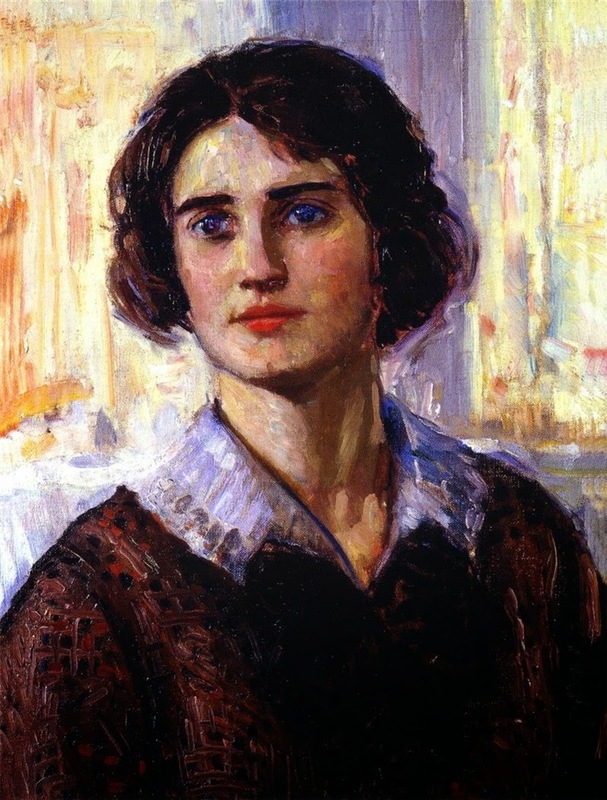 Influenced by his visits to the famous museums of Europe, Kleitsch continued with his love of portrait and figurative painting after relocating to California. 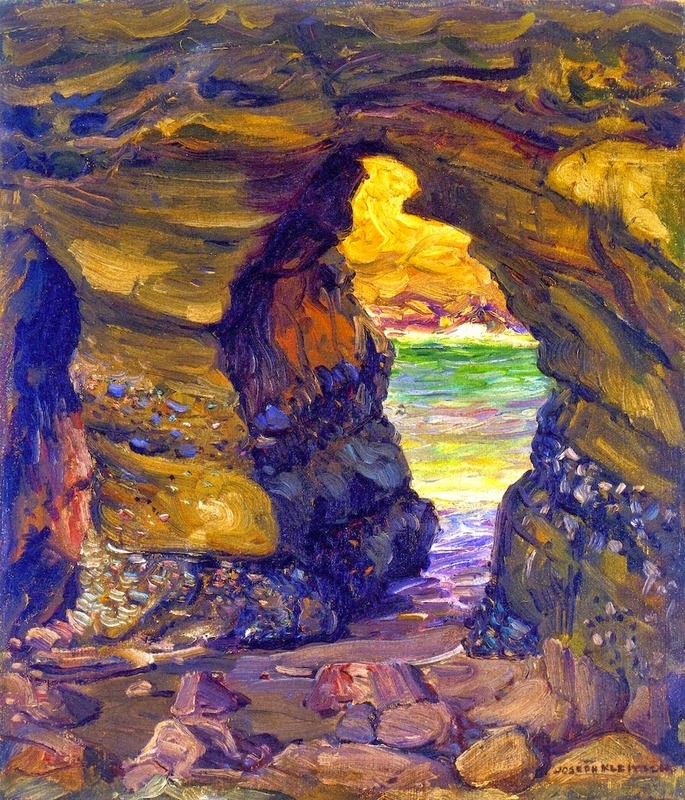 There he rose to the challenge of capturing his new environment's brilliant light and diverse landscape. 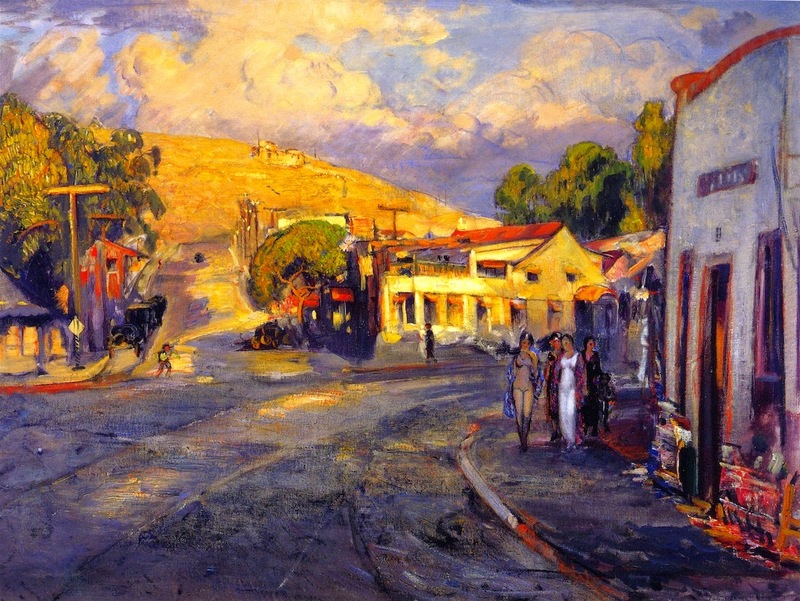 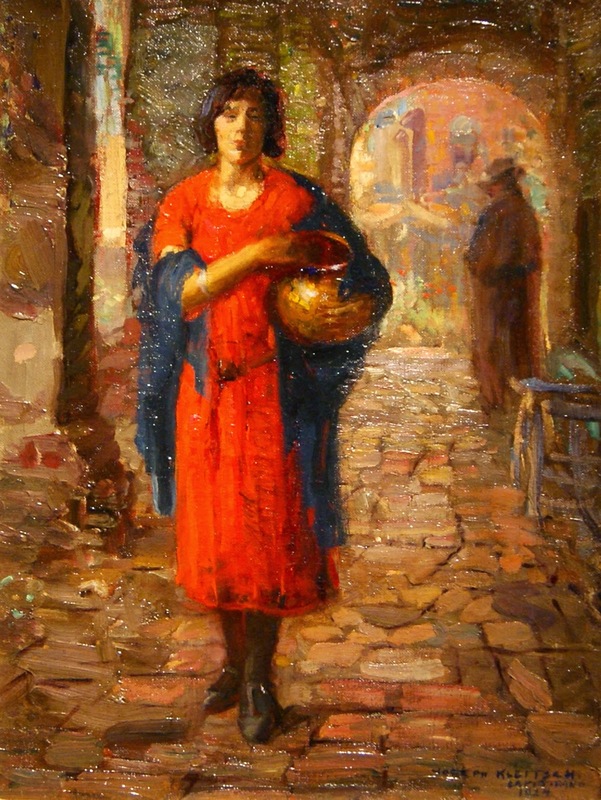 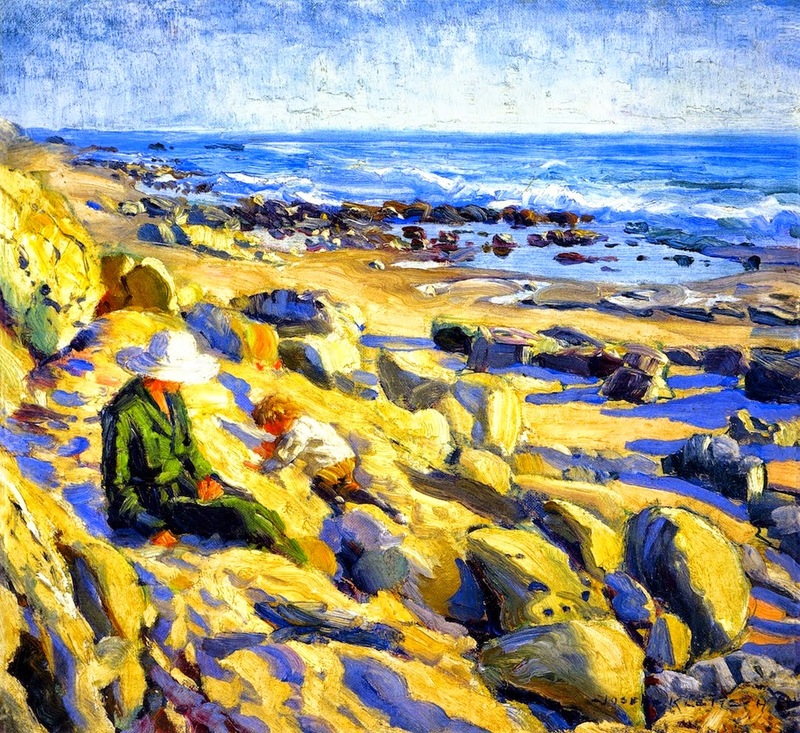 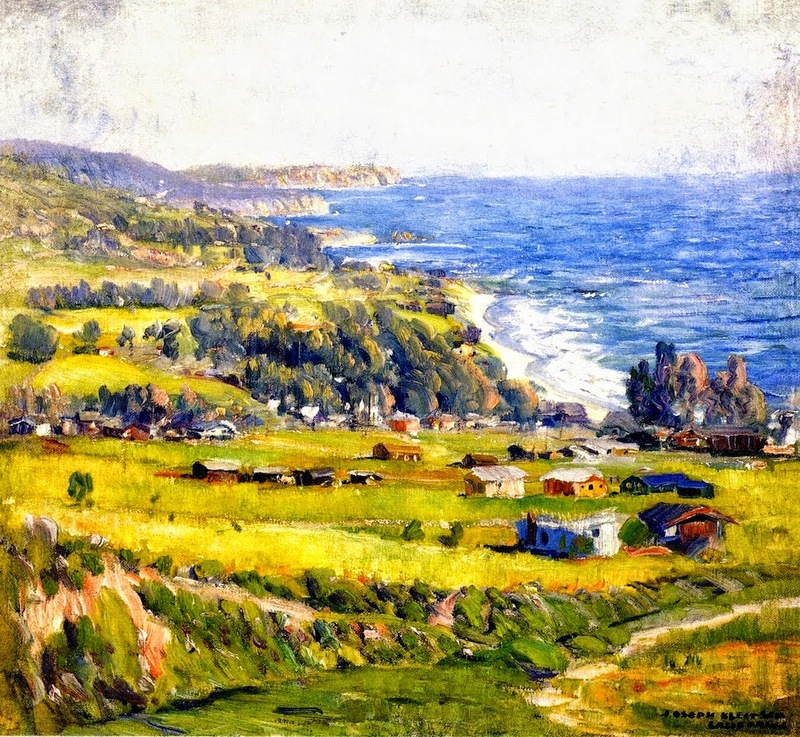 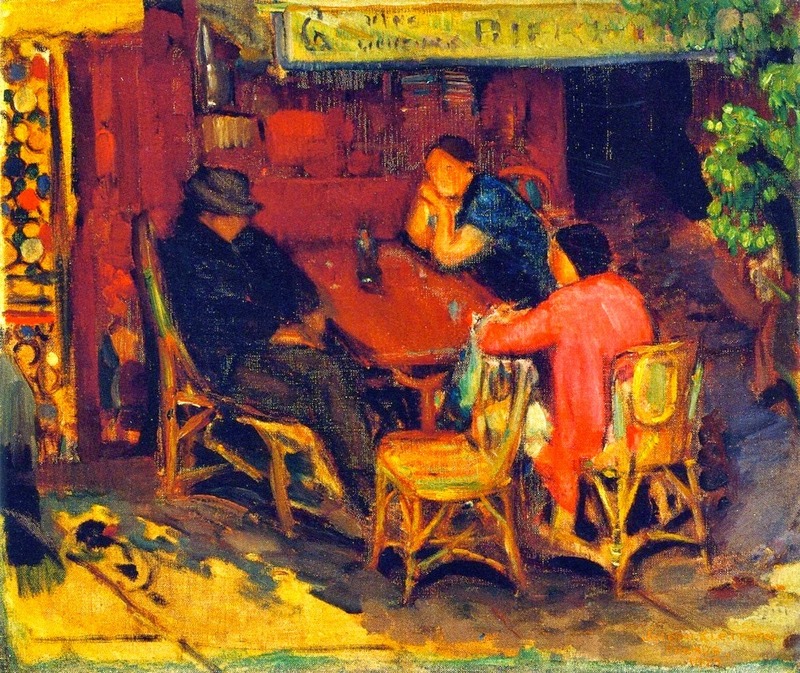 Kleitsch fell in love with the rustic artist village of Laguna Beach, moving there in 1920. Notable works depicted the town's eucalyptus lined streets, the crashing waves of the Pacific coastline and the nearby Mission San Juan Capistrano. 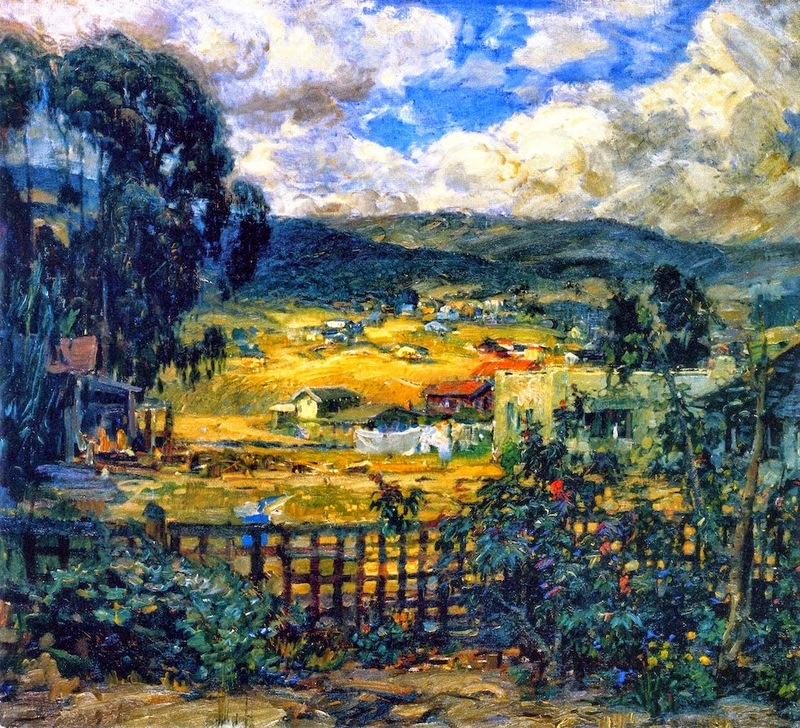 Kleitsch became a significant resident of the Laguna Beach Artists Colony. 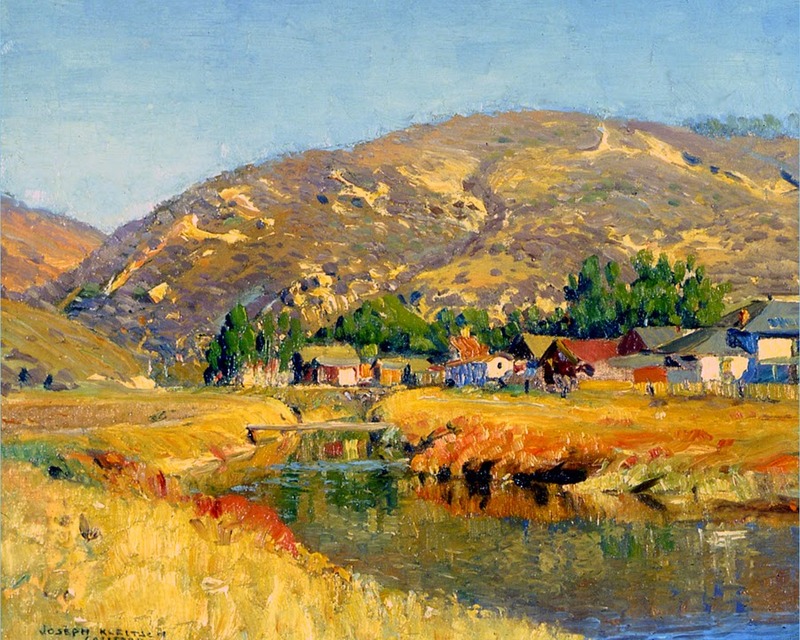 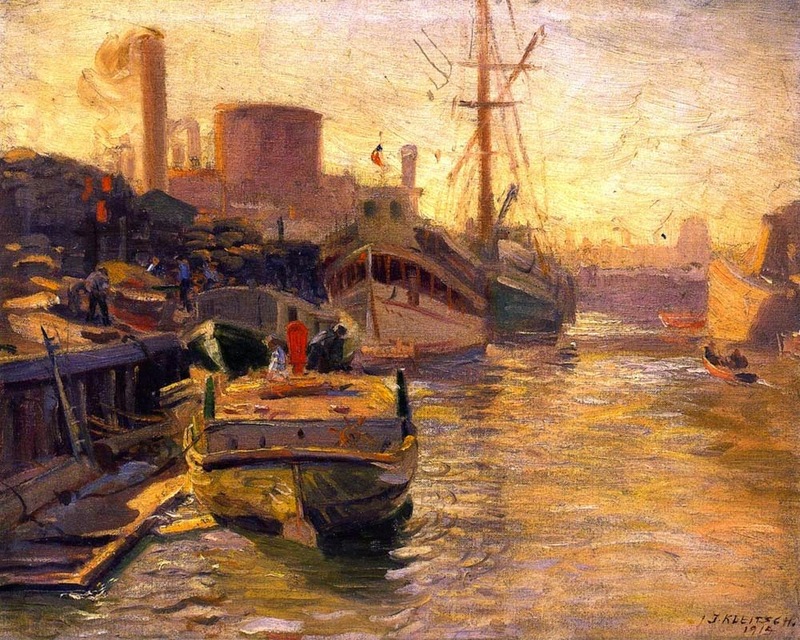 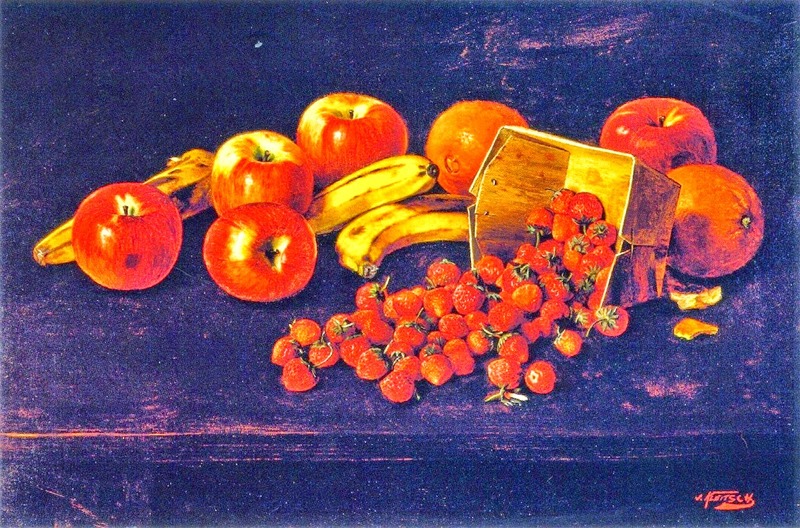 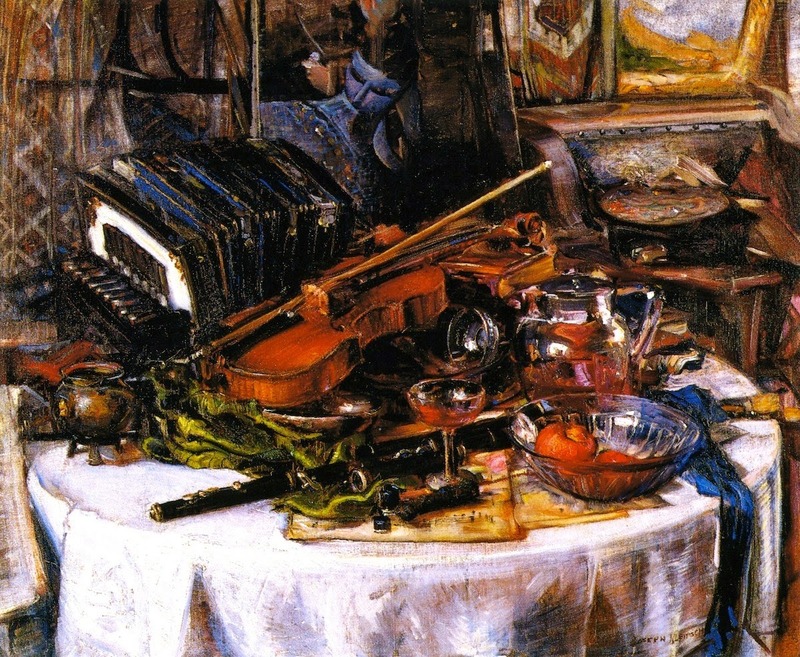 Arthur Millier of the Los Angeles Times in 1922 was quoted saying of Kleitsch "he was a born colorist; he seemed to play on canvas with the abandon of a gypsy violinist". 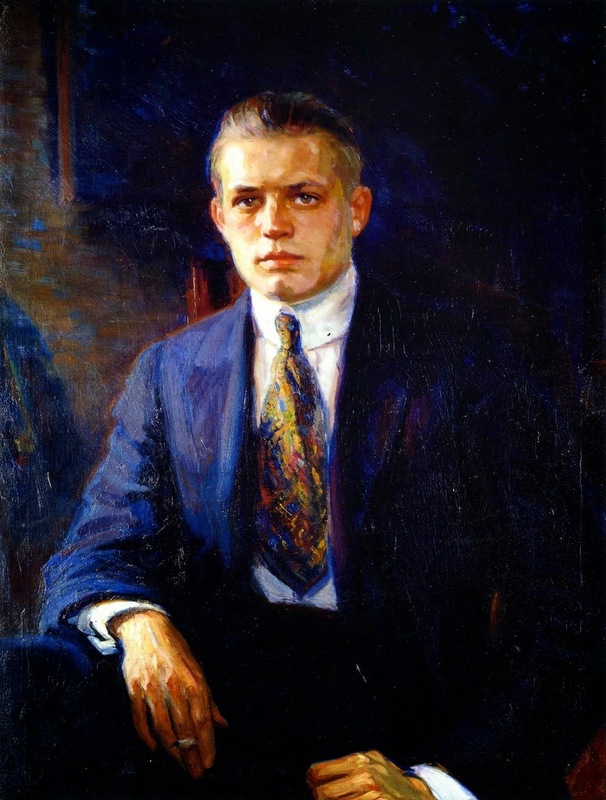 On November 16, 1931, at the age of forty-nine, Kleitsch died of a heart attack in front of the courthouse in Santa Ana, California. 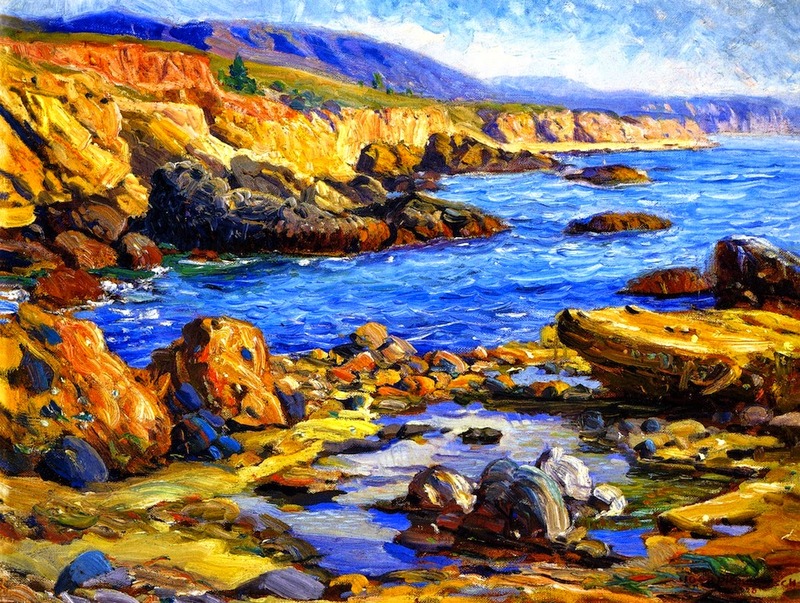 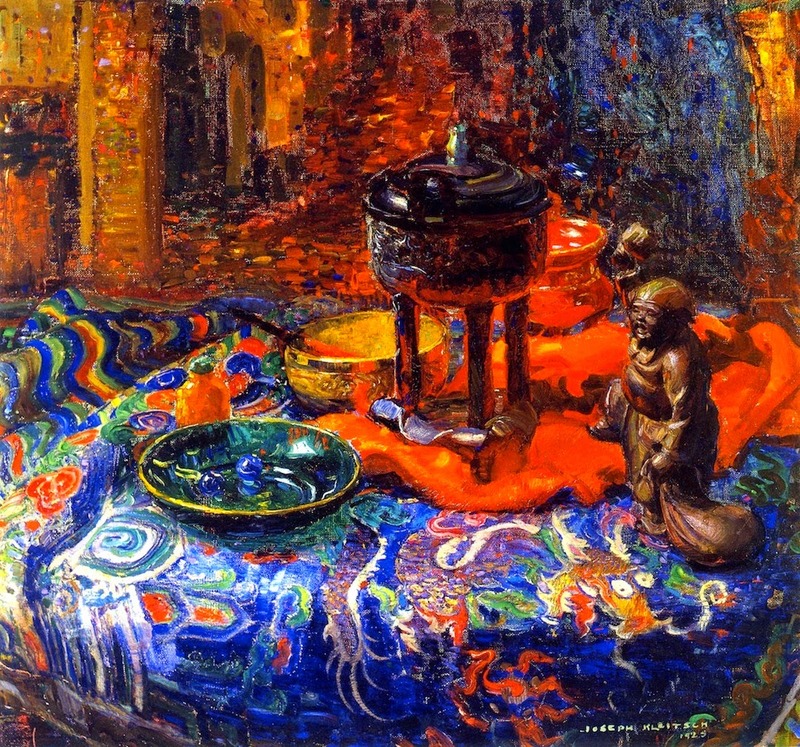 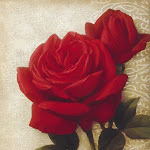 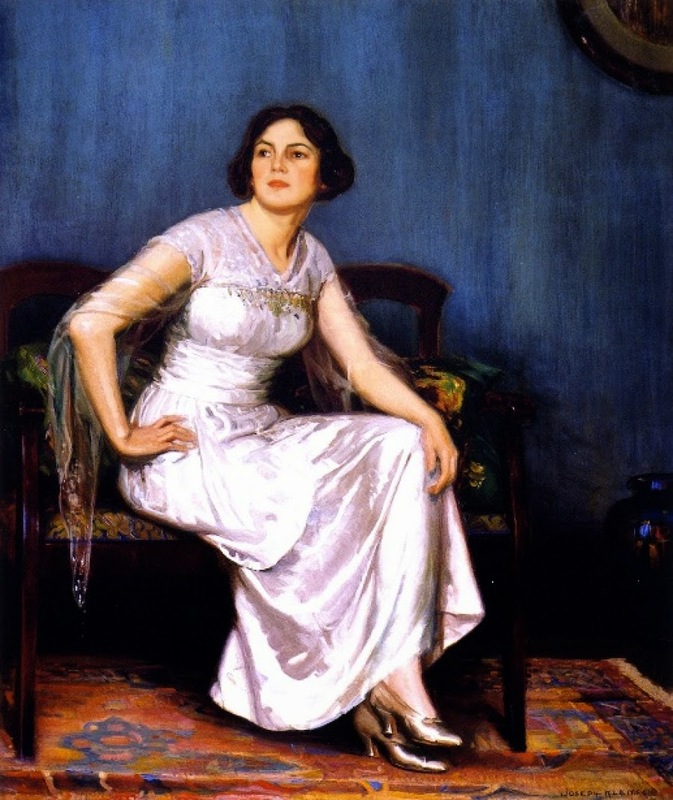 Two years after his death, Kleitsch's widow opened the Joseph Kleitsch Fine Arts Gallery in Laguna Beach. 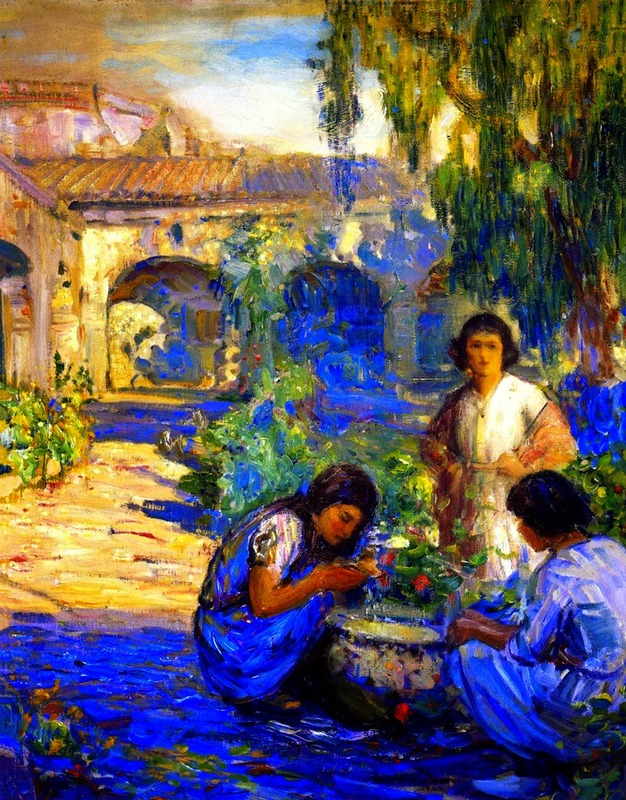 Joseph Kleitsch (1885-1931) fu un pittore Americano che occupo' un posto importante nei primi anni della California School of Impressionism. 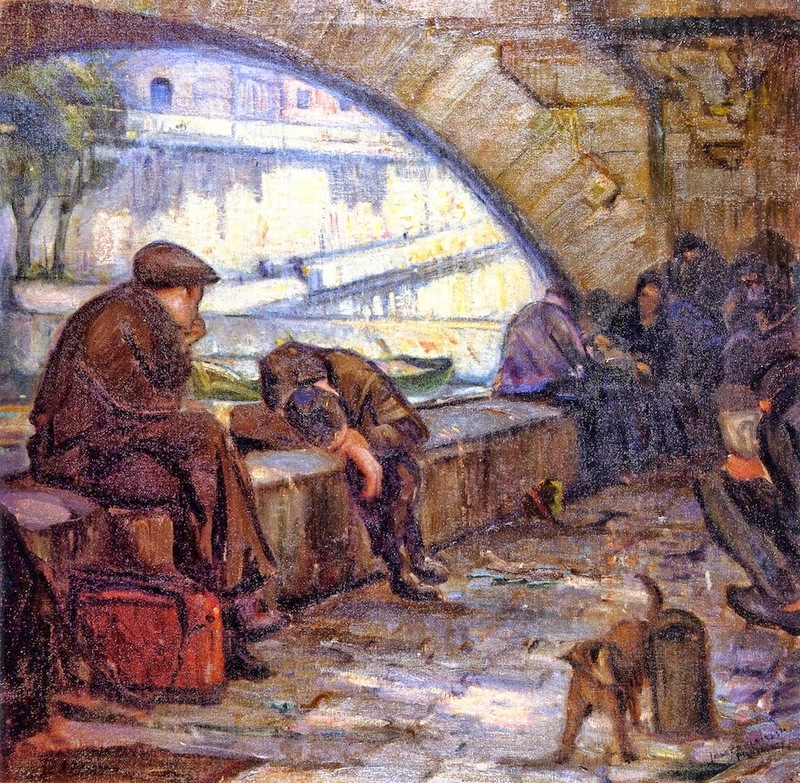 Nato a Banad, in Ungheria il 6 giugno 1885, il giovane Joseph comincio' a dipingere all'età di sette anni, esercito' poi la sua formazione professionale a Budapest, Monaco di Baviera e Parigi. 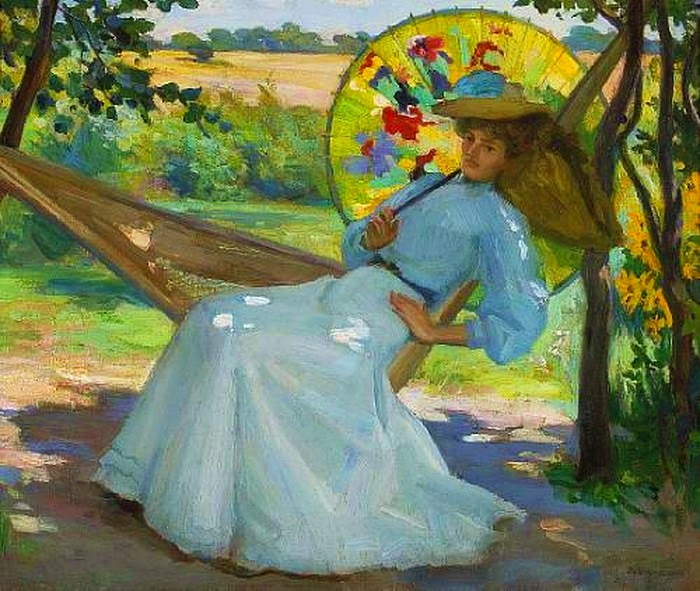 Influenzato dalle sue visite ai musei d'Europa, Kleitsch continuo' a dedicarsi in particolare al ritratto e alla pittura figurativa anche dopo essersi trasferito in California. 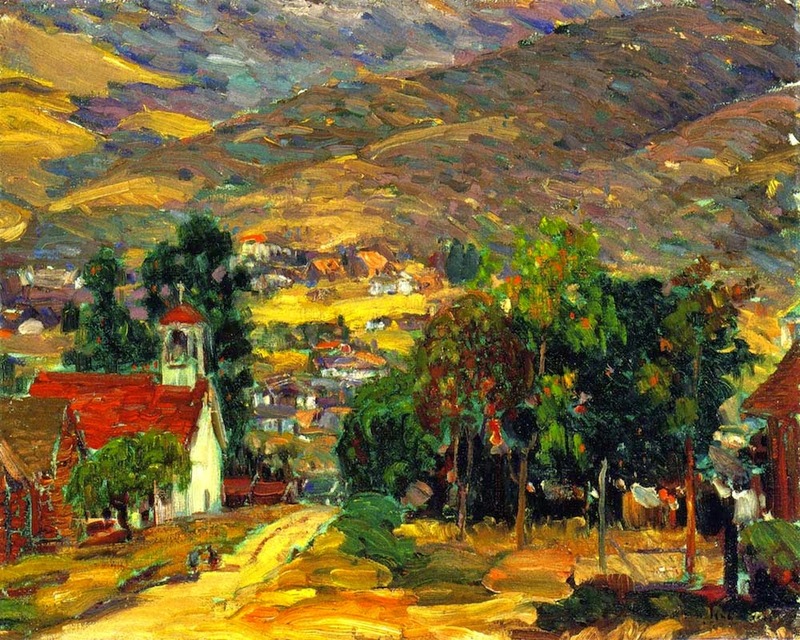 Lo incanto' la luce brillante del nuovo ambiente e il paesaggio variegato. 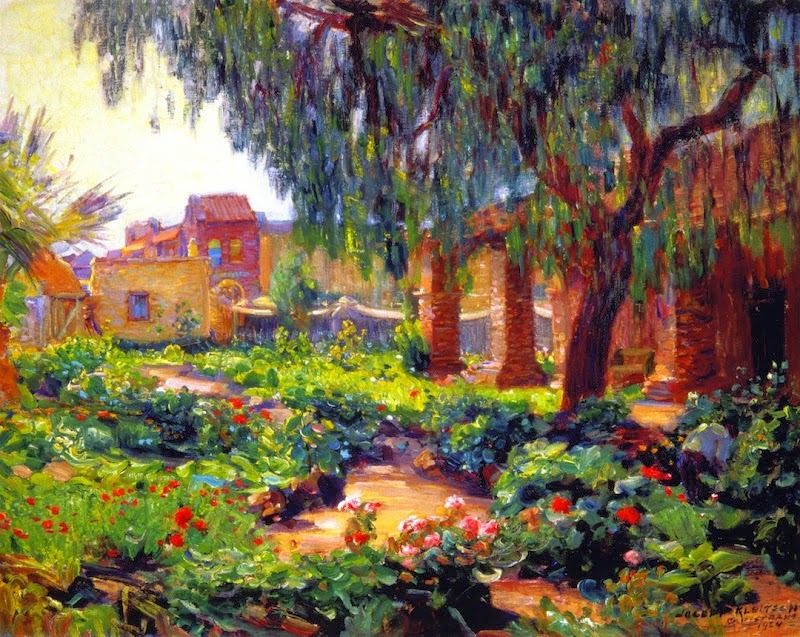 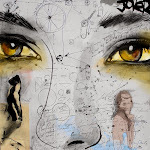 Vivendo a Los Angeles per un po', Kleitsch si innamorò del villaggio degli artisti di Laguna Beach. 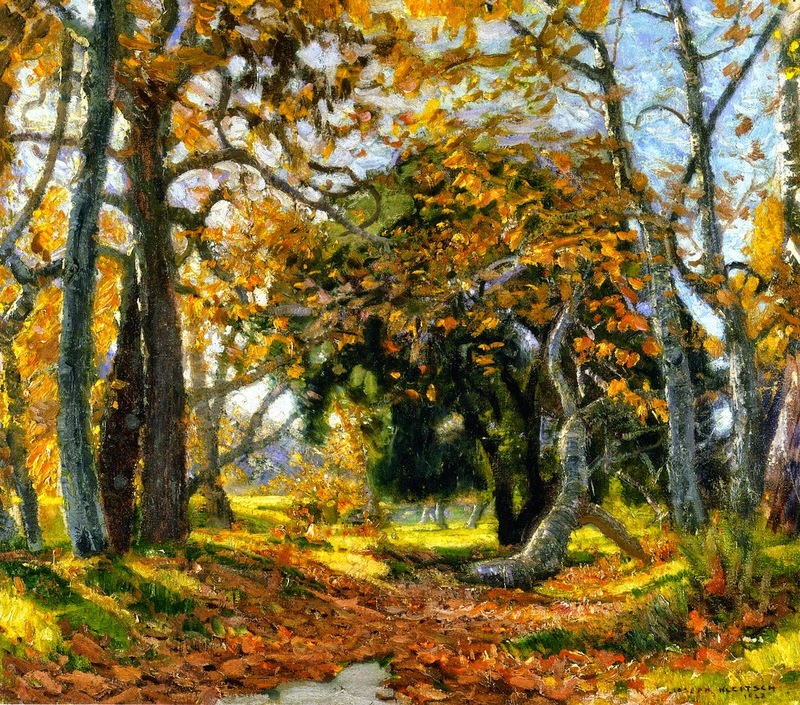 Qui dipinse strade di alberate di eucalipto, le onde del Pacifico e la vicina costa della Mission San Juan Capistrano .